As a self-declared (and rather proud!) "crazy cat lady", I am thrilled and delighted to support, in my own creative way, The Cat House on the Kings, which is California's largest no-cage, no-kill, lifetime cat sanctuary and adoption center. For their Spring Open house, held on May 6, 2017, a silent auction is organized to raise funds for the cats and kitties sheltered, rescued and nursed by the CHOTK devoted team. 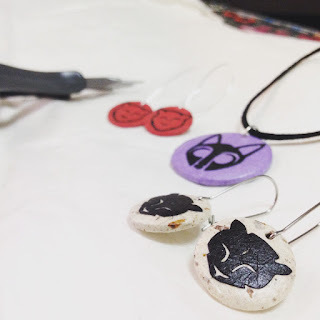 I am excited to announce that I have crafted a few cat-inspired pieces of jewelry that will be available for purchase at the silent auction! 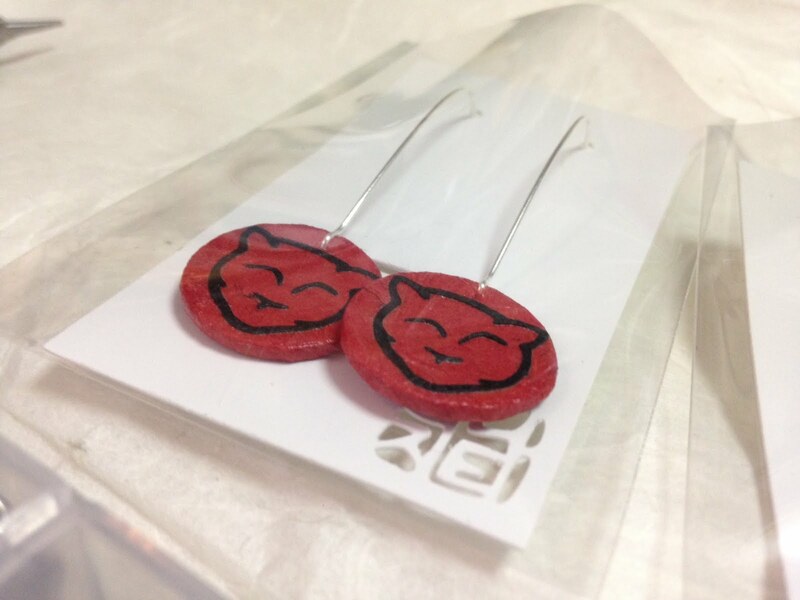 I have made two pairs of earrings and one pendant that will be up for grabs at the silent auction on May 6, 2017. 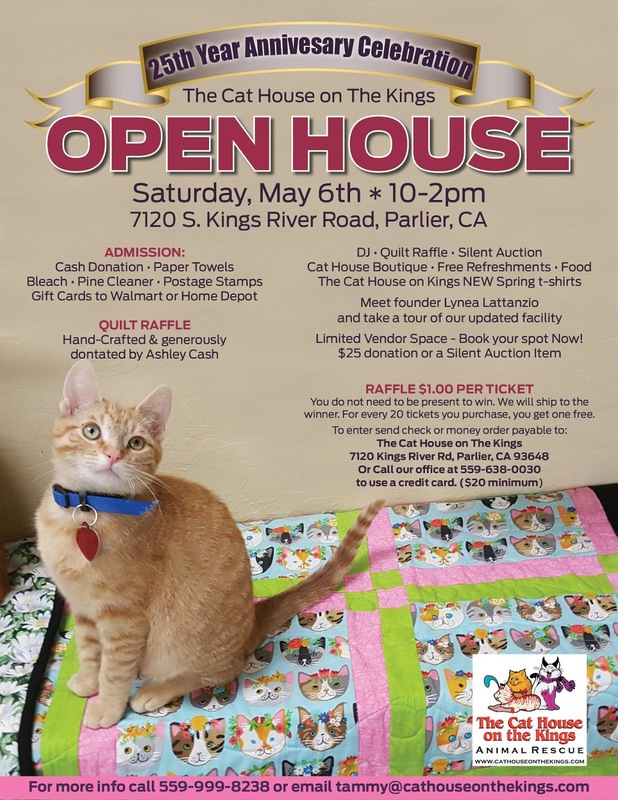 Hopefully they will pleased the cat enthusiasts who will visit the Cat House in Parlier, California for their Spring Open house event. In addition to the silent auction, visitors will have a chance to tour the facilities and meet the amazing furry inhabitants of the Cat House. 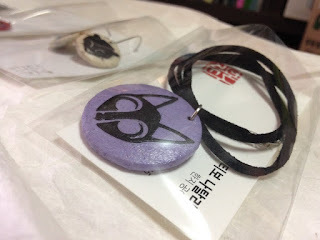 A raffle with beautiful prizes is also organized to raise funds. I really hope that this small gesture will contribute to the success of the Spring Open House, and more importantly, to the continuous care given to all those beautiful felines. Beautiful encounter with a Vietnamese kitty who lives in a newsstand in Hanoi (Vietnam). Summer 2015.